Noble & True is a collection of essays from the Metta Forrest Monastery. A main theme is impermanence and how Buddhist are dealing with it. It’s an often-overlooked feature of the Buddha’s teachings that he identified the basis for all our good and skillful qualities as heedfulness—not innate goodness or compassion: heedfulness. To recognize that there are dangers both within and without, that your actions can make the difference between suffering from those dangers and not, and that you’d better get your act together now: This is the heedfulness that makes us generous, wise, and kind. We’re kind not because we’re innately kind. In fact, our minds are so quick to change that they’re not innately anything, good or bad, aside from being aware. 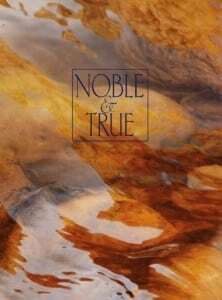 Noble & True is a collection of essays from the Metta Forrest Monastery.